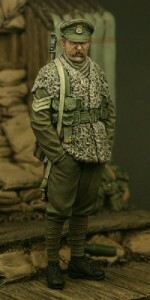 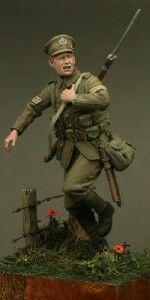 Tommy’s War is a range of British and Empire figures modelled on the First World War. 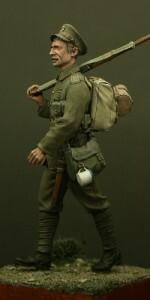 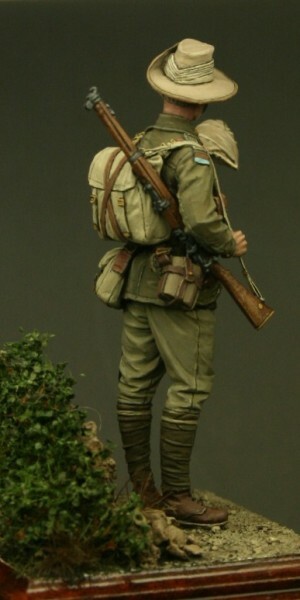 This figure depicts a Private of the 11th Battalion, Australian Imperial Force (AIF) as he would have appeared at the famous Anzac Cove on the Gallipoli Peninsular in 1915. 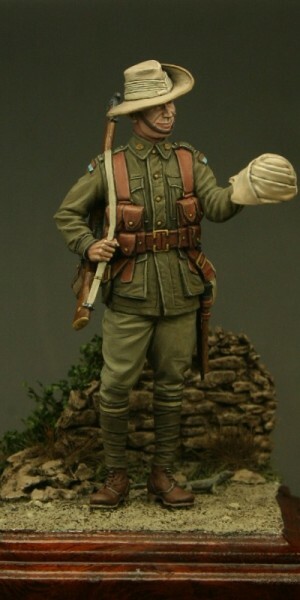 The 11th Battalion were formed in Western Australia at the outbreak of World War One and this ‘digger’ is shown as one of the first landers holding a Turkish Kablak (sun helmet). 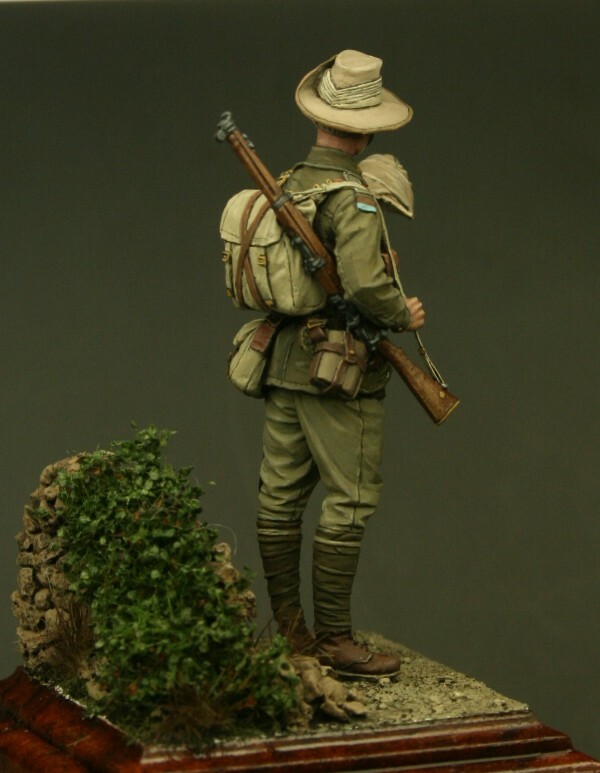 The 11th Bn were to fight with distinction throughout the Gallipoli campaign and after the withdrawal from that campaign fought on the Western Front. 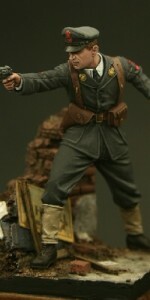 The figure has been sculpted by Nino Pizzichemi and the box artwork is by Gunther Sternberg. 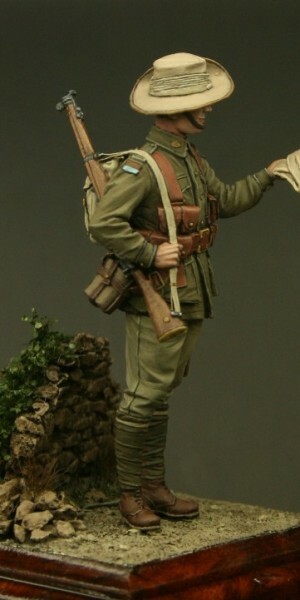 The figure is 54mm in height (1/32 scale) and is supplied unpainted, the kit requires assembly and is not suitable for children under the age of 12. 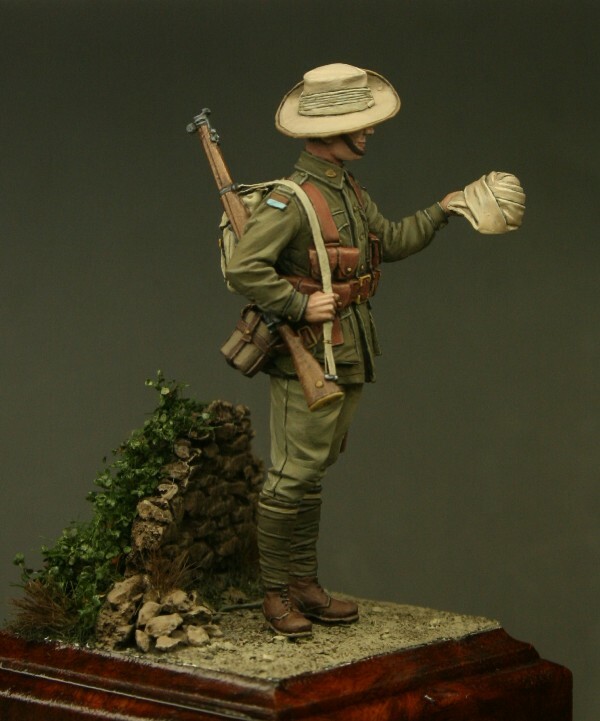 All figures in the Tommy’s War range now include a photo etch rifle sling and all orders receive a four page newsletter which gives information about the figures and period, plus a detailed history of the 11th Bn AIF, their uniforms and details of their campaign. 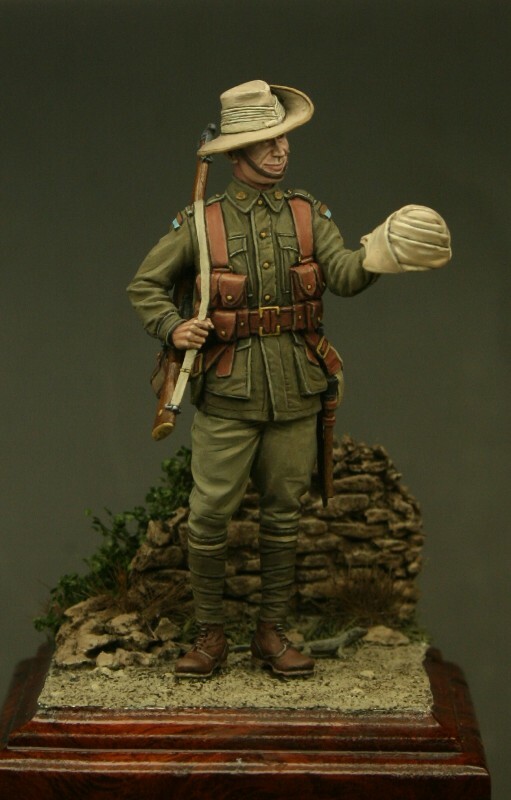 Be the first to review “TW32015 – Private, 11th Bn Australian Imperial Force, Gallipoli 1915” Click here to cancel reply.